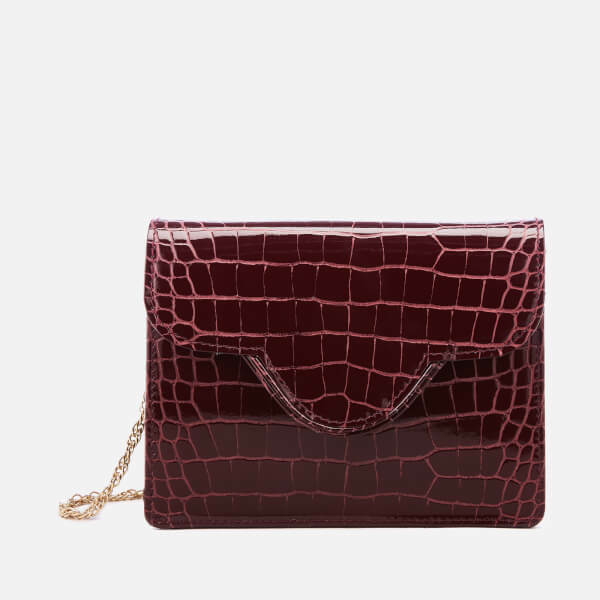 Compact ‘Ava’ cross body bag from Aspinal of London. 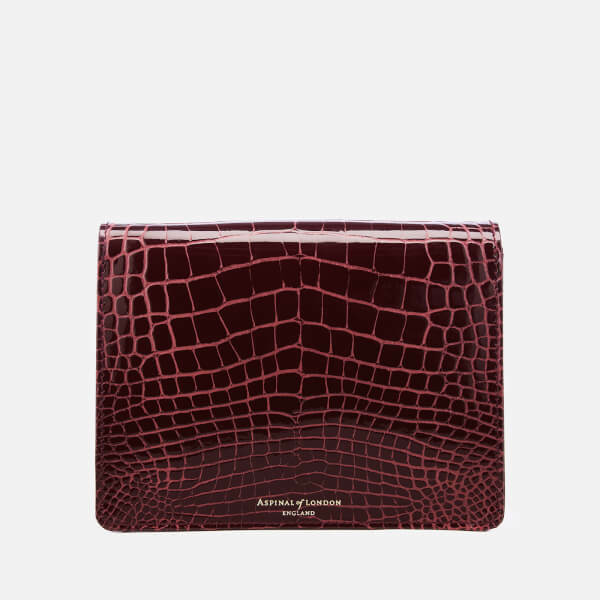 Crafted from oxblood patent leather in an embossed crocodile texture, the small, structured bag boasts a fold-over flap with a mag dot clasp. 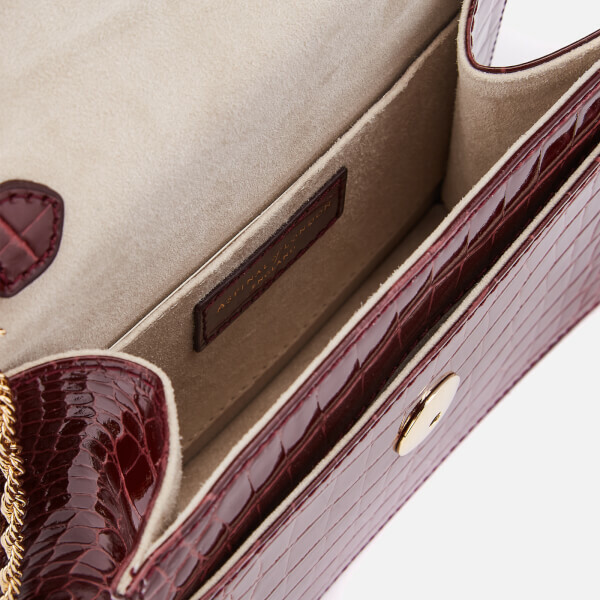 This lifts to reveal a soft, suede-lined internal and front pocket. 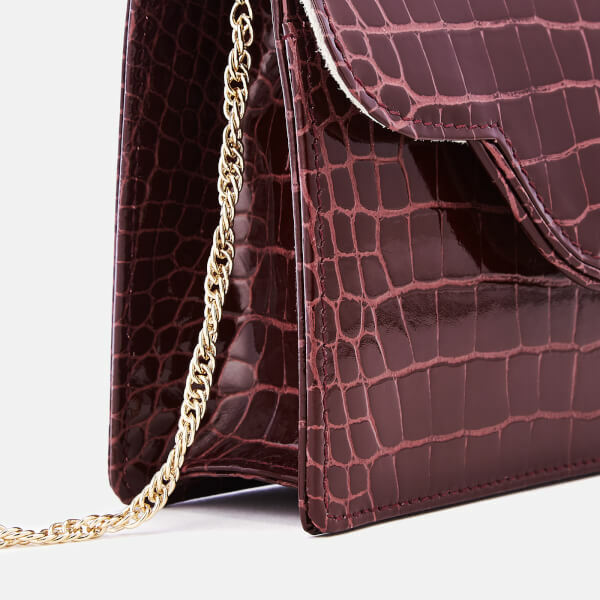 Transported via a detachable gold-tone chain strap. Complete with subtle foil branding to the reverse. Dimensions: H: 12cm x W: 17cm x D: 5.5cm Strap Drop: 50cm. Dimensions: H: 12cm x W: 17cm x D: 5.5cm. Strap Drop: 50cm.